Even before touch screens have overtaken the market, the ever-famous Snake is already a popular game that has been first launched on old feature phones. Nowadays, the classic popular game is making a more adventurous comeback with a twist to keep you entertained in the game. 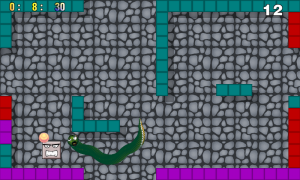 Developed by Alberto Dolci of Retro Revolution Games, TwistSnake is the revolutionized version of the classic Snake game updated just this end of May 2015. Already known as a fun, addicting, enjoyable and challenging game, TwistSnake brings users the casual snake game with a twist by playing with just a swipe of their fingers. More game twists come in the form of endless marathons, star candies, traps to avoid, and plenty of game levels where users have to avoid falling tetris pieces, invading space aliens, and attacking gorillas. 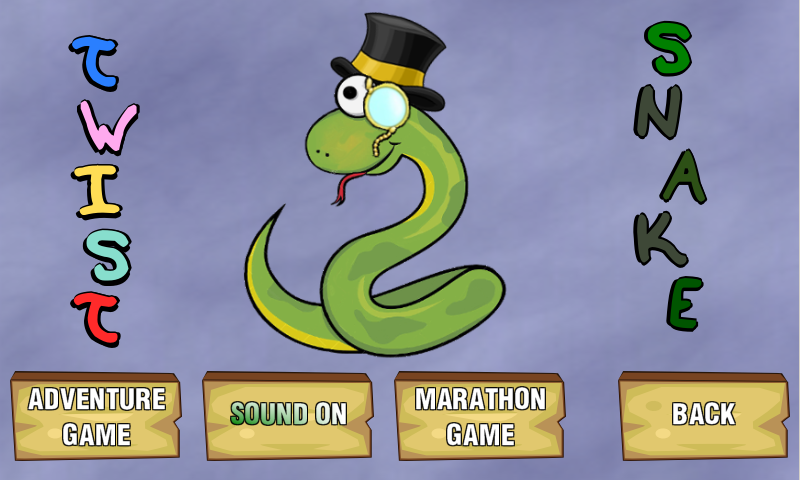 • Endless Marathon Mode – lets users and their snake go on an endless eating adventure with the endless mode marathon. • Modern Attackers to Avoid – space age have definitely come to pass. Now, users have to escape not just the attack of angry gorillas to get their way out of the level, they have to be wary of falling tetris pieces or invading aliens too. • Level up Collectible – the goal of the snake is to eat as many star candies as possible before users can go to the next level. Be warned: each level requires different number of star candies to be eaten. • Beginner Adventure – this would give users a lot of practice and will teach them plenty of ways to evade attacks. • Automatic Record Score – the board online automatically saves the score every time users beat their previous record points. 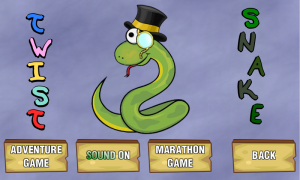 • Plenty of Game Stages – never be bored with TwistSnake’s 50 stages to beat. Combining simple yet cute and colorful graphic images, appropriate game sounds, and easy to navigate game menu, TwistSnake is a simple yet challenging game that will make users hooked even for the first time of having the game played. The transition of each level comes with challenges and attacks that they have to avoid to successfully complete the star candies they need to get to the next level. The game interface of each level can change from a maze, a puzzle, or the outer space, and many more. Overall, TwistSnake is designed to keep users addicted into the game while keeping the rules simple and basic. In fact, this modern version of the classical snake game is perhaps one of the best games to have for Android device. With a wide variety of game landscapes for each level and a never-ending game adventure, this would be a game that would be hard to put down.